Pendant is set with a Pink Sapphire (.19cts) in granulated 22kt yellow gold with hand forged and oxidized sterling silver. Other stone choices are available. Pendant measures 2.5″ L x 1″ W x .25″ D. Accompanying chain is available in 20″, 24″ or 30″ lengths. 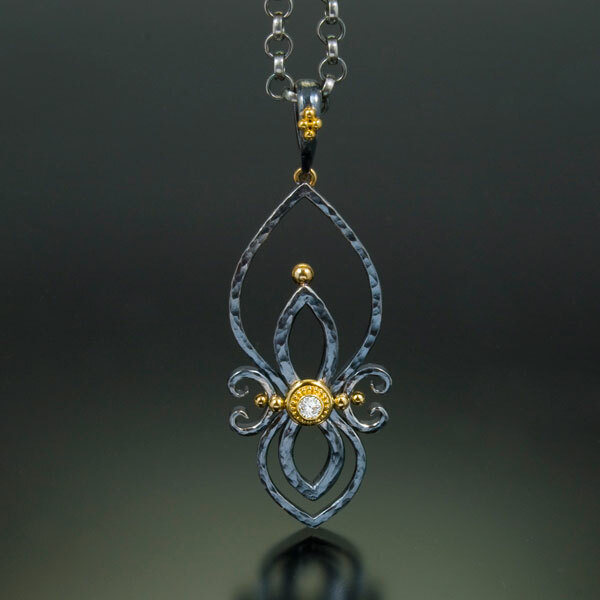 Pendant is set with a Diamond (.11cts) in granulated 22kt yellow gold with hand forged and oxidized sterling silver. Other stone choices are available. 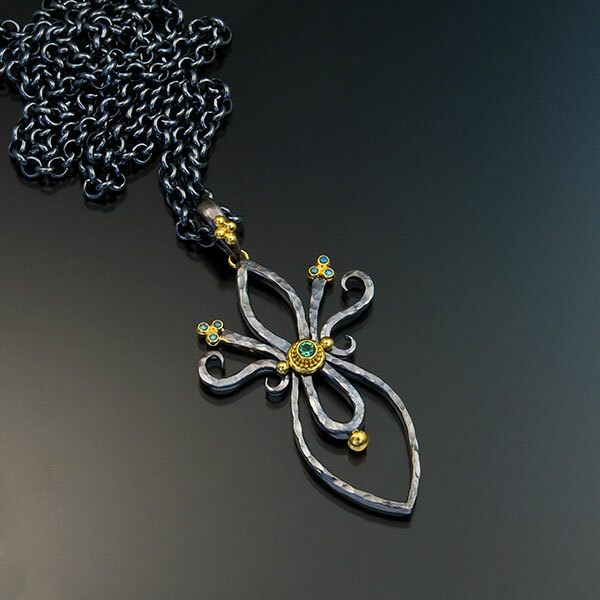 Pendant measures 2.5″ L x 1″ W x .25″ D. Accompanying chain is available in 20″, 24″ or 30″ lengths. 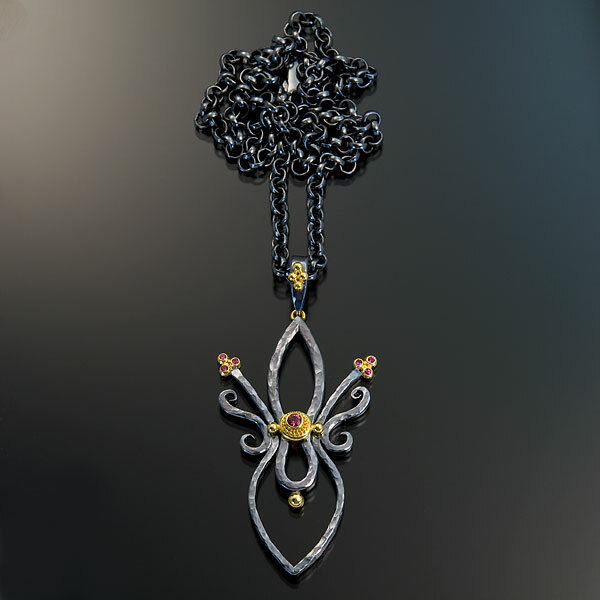 Pendant is forged and blackened sterling silver set with a Diamond (.07cts) in granulated 22kt yellow gold. Other stone choices are available. 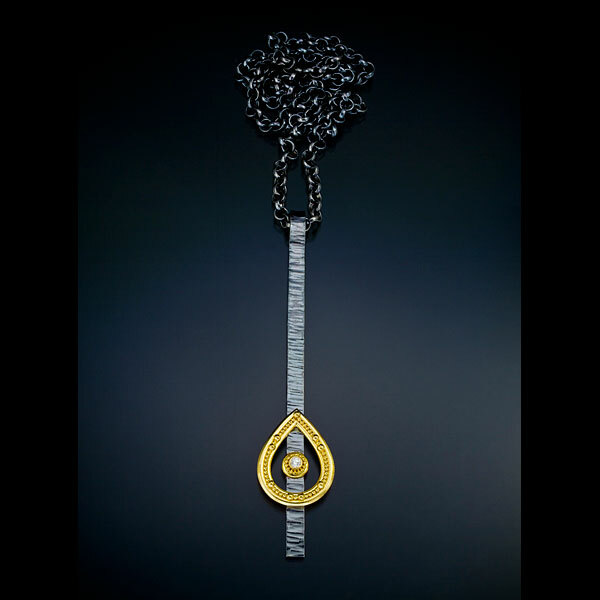 Pendant measures .75″W x 3.5″L. Accompanying chain is available in 20″, 24″ or 30″ lengths. 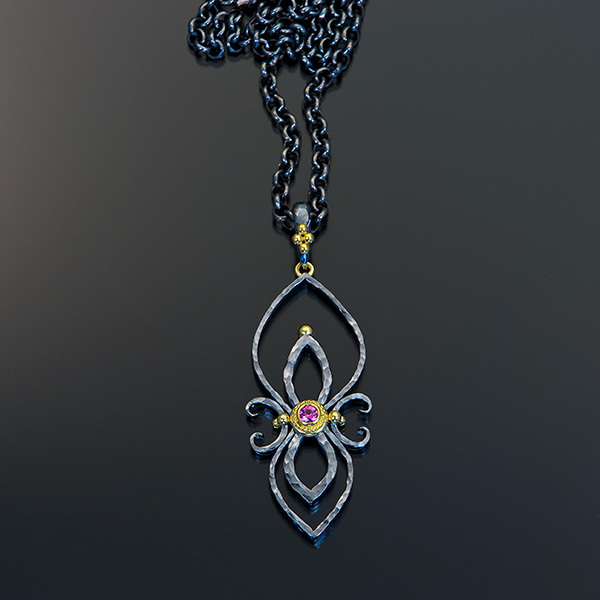 Pendant is set with Pink Sapphires (.24tcw) in granulated 22kt yellow gold with hand forged and oxidzed sterling silver. Other stone choices are available. Pendant measures 2.25″L x 1.55″W x .25″D. Accompanying chain is available in 20″, 24″ or 30″ lengths.